According to the online Webster Dictionary, it is "a concerto for more than one solo instrument." But then, Webster also says that the first known use was 1903. Considering that Mozart and Haydn used the term in the 18th century, one has to question Webster's definition. A better definition can be found in The Encyclopaedia Brittanica (online edition). It calls it a composition "employing two or more solo instruments. Though it is akin to the concerto grosso of the preceding Baroque era in its contrasting of a group of soloists with the full orchestra, it rather resembles the Classical solo concerto in musical form and is the ancestor of the double and triple concerti of the 19th century." Then how does it differ exactly from the concerto grosso or from the double concerto? It is more a matter of perception and overall philosophical aesthetic. The concerto grosso is more associated with Baroque style and aesthetic in which the soloists are often still part of the orchestral ensemble as well as being soloists. In a double concerto, the two soloists are clearly two individual soloists. 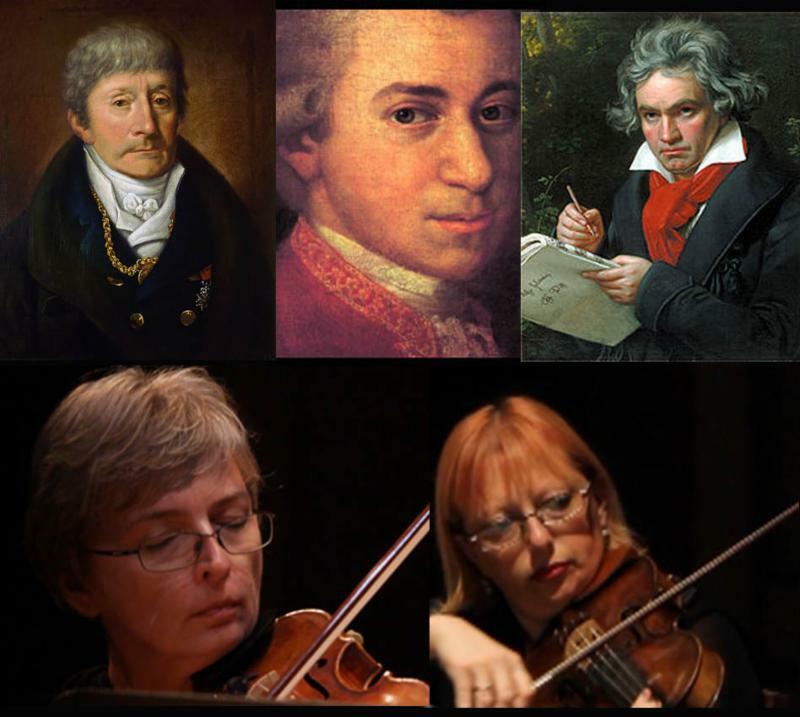 In the sinfonia concertante, it is more about two groups involved in almost a panel symposium. The orchestra tosses out a theme and then the soloists - individually or together as a group - develop that theme or musical idea. Mozart's Sinfonia Concertante in Eb Major is perhaps the most famous of all. However one defines the term, the result is one of the most enjoyable concert works Mozart composed. In the Mozart Sinfonia Concertante - on our April concert - violinist and violist are a duo performing sometimes with and sometimes apart from the orchestra, but clearly as a team rather than as two individuals. Join violinist Agnes Kwasniewska and violist Olga Terlitsky as they interpret this masterpiece with The Baroque Orchestra of New Jersey under the baton of Maestro Robert W. Butts.